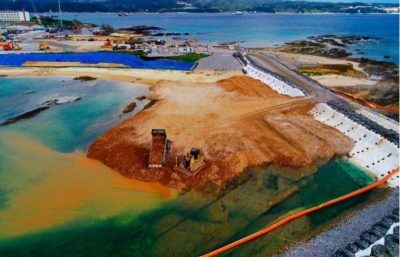 An opposition lawmaker commented that “it’s totally obvious to anyone that it’s red soil” that is being used as infill at the Henoko site. 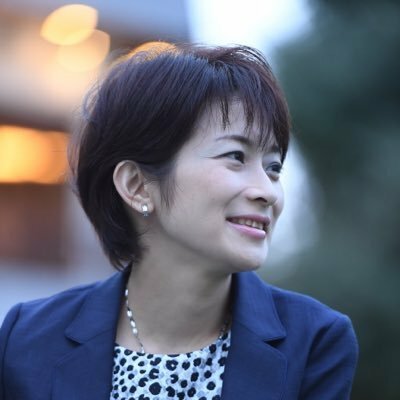 After reading about the news in Sentaku, the Federation of Japanese Newspaper Unions (commonly known as the 新聞労連, Shimbun Roren) also publicly pushed back against the Cabinet Office, generating even more discussion. “In regards to Mochizuki Isako from Tokyo Shimbun, here’s an article published in December 2018. In terms of how (the Chief Cabinet Secretary and the Communications Director) behave, here’s a look at how much time is spent answering her questions. Featured image: Government infill project at Henoko Bay in Okinawa. Questions about the use of environmentally harmful red soil in the project led to demands that a journalist be shut out of press conferences. Image widely shared on social media.